Scotch whisky needs an ‘ambitious’ set of new free trade deals following the UK’s vote to leave the European Union (EU), according to the chief executive of the Scotch Whisky Association (SWA). 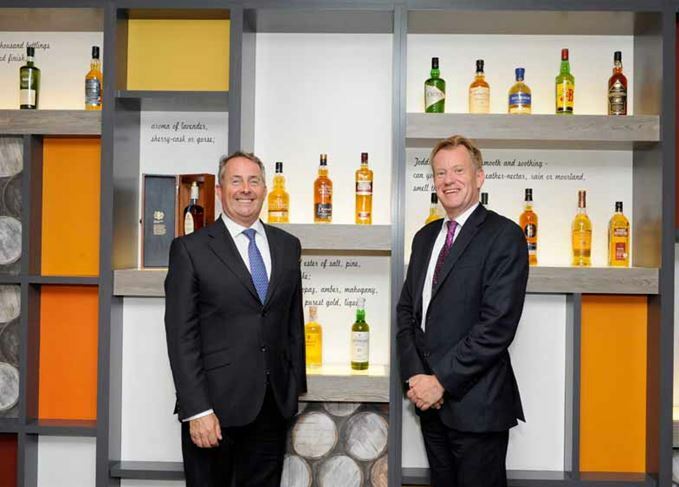 David Frost, chief executive of the SWA, met Dr Liam Fox, Secretary of State for International Trade, to discuss the importance of new trade agreements and to reiterate the significance of maintaining the free trade benefits already secured for Scotch through EU membership. The meeting comes in the wake of recent HMRC figures that showed Scotch whisky exports returned to growth in the first six months of 2016, though declines continued in several major markets. During their encounter, Frost and Dr Fox discussed the potential effect Brexit could have on the Scotch industry and on the wider economy, and noted that, out of the £3.2bn-worth of Scotch exported in 2015, £1.2bn went to the EU. Frost also explained that, without the contribution made by Scotch whisky, the UK’s trade deficit would be 11% higher. ‘The Secretary of State and I discussed the need to focus on pursuing an ambitious set of new free trade deals with export markets, whilst also ensuring we continue to enjoy the trade benefits already secured for Scotch whisky through existing EU arrangements,’ said Frost. ‘This is particularly important as the UK prepares to leave the EU and we look to grow Scotch whisky exports. Scotch whisky exports bounced back last year, thanks largely to single malt and the US market. Brexit-fuelled resurgence ends recent decline as single malt shipments top £1bn for first time. After three consecutive years of shipment declines, where does the industry go from here?